Acne is a dreadful experience to go through, it lowers one’s self-confidence and self-esteem, and it’s embarrassing to have to walk around knowing that people can distinctly see your acne, you know they are looking at you and you feel the judgement from every angle. Worst is, people have a tendency to assume that it’s because your skin is dirty, or it’s due to an unhealthy diet. This is not always the case, many times it is due to hormonal imbalance or stress. Having this as a teen is one thing because people understand that you are growing, and your body is going through changes. However, having it as an adult can be detrimental to your confidence, seriously affecting your professional and social lives, your ego, and you find yourself having to force yourself to get up in the morning to face the critical outside world. 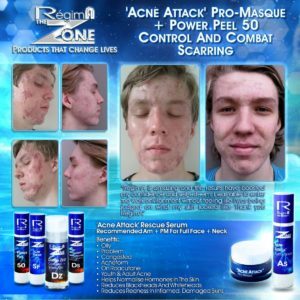 This is why the RégimA Zone Acne Attack ‘Pro Masque’ and Acne Attack Rescue Serum were created! We understand how much this can affect a person so we have striven to produce perfect formulations to help change more lives for people with different skin problems, Acne being one of those. Its seems that we have hit the nail on the head, with all these excellent before and after photos we have been receiving, we feel the need to share this brilliant news with you! We don’t need to try convincing you that it works, we just have to show you the results from our awesome customers! “The results have boosted my confidence and self-esteem. I was able to enter the work environment without feeling like I was being judged on what my skin looked like”. It makes us proud to know that we are living by our logo, ‘Products That Change Lives’. We are Results Driven, as they say “The proof of the pudding is in the eating” just see for yourself! This year we were awarded with the following awards: Best supplier – skincare and the new products overall winner! Last night RégimA Skin Treatments’ Zone range took top prize as overall winner of the 2015 Pharmaceutical & Cosmetic Review/Symrise New Product Competition (NPC). The awards evening was held at Olives & Plates in Braamfontein, Johannesburg. As part of the prize, a member of the RégimA team will be off to in-cosmetics 2016, a leading global business event for personal care ingredients. Next year’s show takes place from 12 to 14 April in Paris, France. 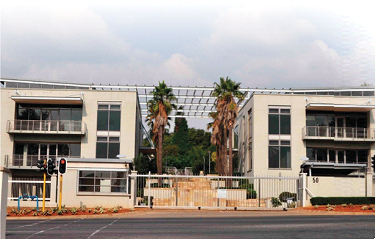 RégimA Skin Treatments is a proudly South African brand of cosmeceuticals with a specialised focus on skin health and long-term aesthetics. The company is headed by CEO, Jacqui Faucitt, who is driven by the fundamental need to address serious skin concerns on the basis of delivering solutions that make a life-changing difference. The company’s latest offering is RégimA Zone, recently launched in South Africa and London, which takes an entirely different look at product formulation. According to the company, the Zone draws a parallel to connect unsatisfied consumer needs and desires with emerging science and technology being developed by the collective innovation of global research and developments in skin care. The central philosophy behind the new range is a paradigm shift from the existing norms. It attempts to address skin concerns and problems in terms of what is possible, rather than the common current approach of what is necessary. Instead of pushing boundaries, the Zone attempts to redefine and reshape boundaries giving them greater affinity for improvement. When protecting themselves from the sun, South Africans must not only pay attention to which type of sunscreen they use but also to how much they apply and how often. This is the view of Dr Pete Vincent of the Netcare Travel Clinics and Medicross Family Medical and Dental Centre, Tokai, who is encouraging South Africans to become fully informed about sun protection to avoid developing melanoma and other types of skin cancer. Globally, South Africa ranks as having one of the highest, if not the highest, incidences of malignant melanoma, with people in the Cape being affected worst of all*. According to the World Health Organization, approximately 66 000 deaths occur globally each year as a result of skin cancer. In a recent survey conducted amongst 1 500 female travellers from the United Kingdom, 22% stated they would not use sunscreen because they believed it was too expensive, that it did not work or that their skin did not burn. ‘What many of these people do not realise is that those who are exposed to the sun intermittently are more likely to develop malignant melanoma, while those who have continuous lifetime exposure are more prone to develop squamous cell carcinoma, which is also a type of skin cancer,’ explains Dr Vincent.